Surf's up! 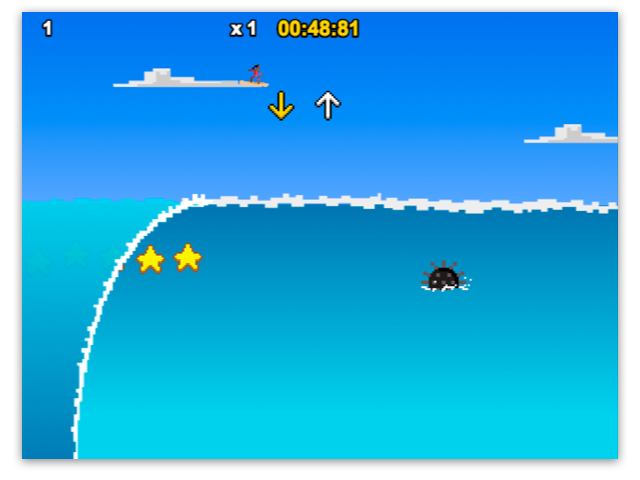 Get your nostalgia surfing game fix with Pixel Beach. Hold/release spacebar or (A) on your gamepad to ride the wave. Collect stars and avoid the mines. 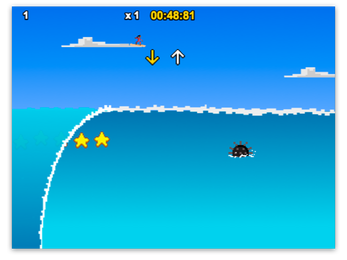 Fly into the air and smash out the arrow key combination to do tricks. Tricks multiply your score and extend your time! Pixel Beach was originally developed in 48 hours for Node Knockout 2017 where it won 'Best Design'. If you get a warning when running the Windows installer, click 'More info' and then 'Run anyway'.